Teltek | Teltek solutions, big boost in Germany during last year. 03 Mar Teltek solutions, big boost in Germany during last year. Universities in Germany are betting on the open solutions for educational video and lecture capture. The German Opencast (open solution for lecture capture) community is really strong and Universities like Bonn, Leipzig, Osnabruck and, more recently, the University of Ulm have chosen our Galicaster Capture Agents and Galicaster PRO software to improve their conference and lecture capture platforms based on the Opencast solution. Particularly noteworthy is the case of the University of Cologne, one of the oldest universities in Europe and one of the biggest universities of Germany with more than 44,000 students. This university is an Opencast adopter and contacted TELTEK with the objective of completing their digital campus infrastructure with an institutional media repository and responsive video portal based on PuMuKIT. This media repository should be integrated with their Opencast platform and, on the publishing side, with their iTunesU site, Youtube corporate channel. 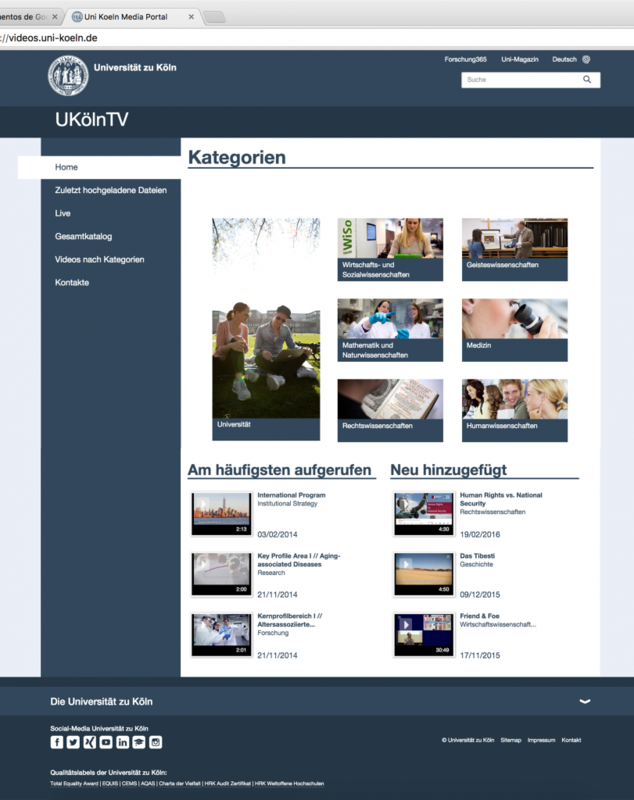 At present the new University of Cologne institutional media portal is available and can be accessed clicking on the image on the right. PuMuKIT is the ideal solution for any organization with a big collection of video or audio. It is a powerful Open-Source video platform, that provides great media cataloguing capabilities as well as the required flexibility needed to manage your media collections. PuMuKIT can automate the publication process of your media through different online publishing channels such as Video-Portals (WebTV), different RSS feeds, iTunesU sites, YouTube channels or DSpace repositories. From TELTEK, we are happy to help German universities to deploy open video solutions on their campuses and to contribute to the IT innovation in the learning process with our products.